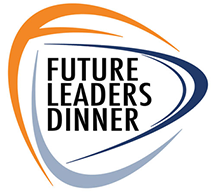 The 2018 Future Leaders Dinner (www.satfuture.com) takes place at The Computer History Museum in Mountain View on Tuesday, October 9, in conjunction with the Satellite Innovation 2018 conference, produced by Satnews Publishers. The proceeds of the dinner go to fund SSPI’s educational, professional development and industry growth initiatives. Jillian started her career at SSL through a Cooperative Education program in 2008 while working on her undergraduate degree in Mechanical Engineering at Cornell University. Upon graduating from Cornell with her Master’s Degree in 2011, she joined SSL full-time as a Responsible Mechanical Engineer in the RF Payload engineering department, where she worked on product design and delivery of more than 30 assemblies. Three years later, Jillian participated in SSL’s 18-month Rotation Program, during which she worked in the Mechanical Aerospace Ground Equipment department and the Solar Array department. After demonstrating particular talent in the Solar Array department, she took on the role of Solar Array R&D Project Manager. Jillian was selected for her current position as Additive Manufacturing Technology Manager in 2017 and developed a 3-year technology roadmap for SSL’s additive manufacturing (3D printing) capabilities and products. She now leads SSL’s Factory of the Future initiative for additive manufacturing, which includes planning investment areas and training other SSL employees in the use and benefits of additive manufacturing. Since taking her current position, Jillian has promoted the use of 3D printing in many design areas to reduce mass and improve assembly schedules, performance, and operational lifetime for future spacecraft. She is currently leading a company-wide initiative to educate SSL’s employees on additive manufacturing to further increase these benefits. SSL is one year into Jillian’s additive manufacturing technology roadmap, and the initiatives are well ahead of schedule. Throughout her career, Randy has served as a mentor, guide, and advisor for aspiring space professionals, particularly the growing number of young women entering the field. Her efforts include working with Satnews Publishers to profile more women at the company's SmallSat and Satellite Innovation Symposiums, as well as working actively with the Women in Space Initiative to advocate for mentorship and support for women in the satellite industry. For these achievements, the Women in Space recognized Randy as the first honoree for their Women in Space Excellence Award in March of 2017. Founded in 1983, Space & Satellite Professionals International (www.sspi.org) is on a mission to make the space and satellite industry one of the world’s best at attracting and engaging the talent that powers innovation. With more than 3,700 members in 40 nations, SSPI is the largest space and satellite industry association in the world. The organization delivers on their mission through programs that promote space and satellite as the invisible but indispensable infrastructure of the modern world, and that helps to turn individual promises into careers filled with purpose through research, career education for young people, management education for working professionals and talent recognition that spans the industry.